Sony PlayStation 2 was a sixth generation video game console that was developed by Sony Interactive Entertainment. It was the successor to the Sony PlayStation [PS1/PSX] gaming console. PS2 was so popular that it reigned the gaming world for 13 years and have received game releases even with the seventh generation gaming consoles. The best selling game of PS2 till date is GTA San Andreas which sold over 17.33 million copies. PS2 was a major upgrade over its predecessor. Since it featured the ability to upgrade its storage with a hard drive. It also supported USB ports and the gaming media was DVD instead of CD-ROM. One of the best things about PS2 is that it fully supports PS1/PSX games. So if you have original PS1 game discs then you can run them on your PS2. Hence PS2 is backward compatible with PS1. Sony discontinued the PS2 in 2013 and it is not available in retail now. So if you don't have a PlayStation 2 console and still want to play PS2 games then your smartphone can help you. Now it is possible to play PS2 ISO games on your android smartphone with the "Play Emulator". I previously wrote about playing PS1 games on android, read tutorial that became a hot topic on the internet. Now I want to do the same for PlayStation 2. High-end android phones like Galaxy S7, Galaxy S8, One Plus 5 etc. Download and install the Play app, PS2 emulator for android. Download any PlayStation 2 ISO. Copy the PS2 ISO file to this directory on your android smartphone "Internal storage>Play data files". Open the emulator app and tap the menu icon on top left corner and tap "Unsorted" to list all games. See this image below. Tap any game to start playing. Since this emulator is in developing phase so there are no specific settings to make. The emulation will be very slow on low end phones. We recommend to play only if you have a high end phone like Galaxy S7, Galaxy Note 7, Nexus 6P or Nvidia Shield tablet. Note: If you don't see any image cover on your games then long tap the game ISO in emulator and tap "EDIT". Scroll down and tap "DEFAULT" to bring back the game cover art. Note: Currently this PS2 android emulator works only on android 5.1 Lollipop or above. This emulator also doesn't work on low end android phones as the emulation will be very slow. You should wait until developers give frame skipping feature in this app. Note: There are many black PS2 games that are available for Sony PSP. 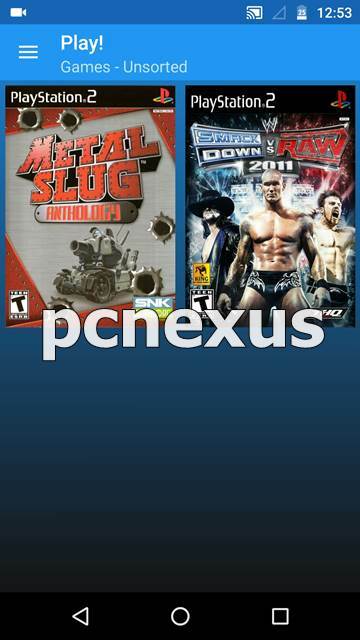 These games are a direct port of PS2 games on Sony PSP. In Play PS2 emulator most games won't work and just show a black screen. This happens because of low end hardware of the phone. So, if your PS2 games are not working on your android phone then download the same game as PSP ISO. Suppose if you are playing GTA Sanandreas then download its PSP iso and run in PPSSPP emulator for android. Check the PPSSPP tutorial above in the 'Also Read' section. If you liked the article then please share it. Play emulator work in android 4.4?? No. It requires android 5.1 Lollipop and above. will work. Ea cricket ps2 games! Yes it will work if its a PS2 ROM and your phone's hardware is capable of handling the emulation. You can get the ISO or ELF files from the PlayStation 2 discs. Or you can download the PS2 rom files from Google. You can copy the ISO files to this location on your phone "Internal storage>Play data files". The games will auto appear after placing the game files in the above directory. It only works on high end android phones and tablets like Nvidia Tegra. Your phone's hardware is not good enough to run the Play! PS2 emulator. Play PS2 works only on high end mobile phones. This app is currently under testing and developments. So the developers will be optimizing this emulator to work on low end android phones. However you can check these following emulators. It works only on high end android smartphones. Your G4 Plus is not able to play PS2 games via emulator. This app is not fake. 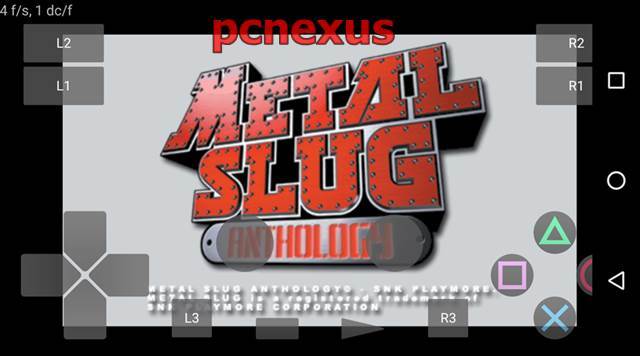 I have tested Metal Slug anthology on this emulator. But the emulation is so slow that the game is not even playable. Tested on Moto X play. This emulator may work on Galaxy S7 and it definitely works on Nvidia Shield tablet. You better enjoy PS1 games on your moto g4. The G4 wasn't even a high end phone in 2016, in fact it is a low end budget phone. Don't go around telling everyone that it is fake if you're phone is obviously way to budget to properly handle it. the game should be a valid PS2 ISO or an ELF file. Other files or formats are not supported. If you are using a zip archive then first unpack it then copy to the directory that I mentioned above. If you are using android 6.0 then grant storage permission to PS2 emulator app. Yes you can get the game files from the PS2 discs. Copy the .elf files to your android device and load them into the PS2 emulator for android. Check the article above for help. Yes it happens with most games. All games are not compatible and the Play emulator doesn't have a working support for ARMv7 android phones. This emulator lags heavily on ARMv7 android phones. Works great on Nvidia Tegra or high end devices like Galaxy S7. Can this work for xiaomi redmi note 3 pro snapdragon 650 with 3GB RAM ? Yes most games will work. The PS2 android emulator is still under development. It will support faster emulation soon on many low end devices. I just downloaded god of war from emuparadise and tried it on my galaxy s6. It has been frozen in the first screen since then. Do you have any suggestions for me please? Yes, if the game is not working then download the same game as PSP iso and run that game in PPSSPP android emulator. Try the PSP version of digimon world data squad. Use PPSSPP emulator. You will need a PSP iso of this game to work on your android phone using the PPSSPP emulator. It will not work on Moto G4 Plus. It is a low end phone. Pls tell me...i have ONE PLUS 3T.specs=6gb ram, Snapdragon 821,2.35ghz,adreno 530...i want to play ea cricket 2007..any solution to play this game on this phone.. This emulator is currently under active development so it may or may not work on your tab. Most of the times the game loads but nothing appear except black screen. The Play! PS2 emulator is not yet fully usable on android devices. Improvements are going on though. The PS2 emulator for android is still under active development so all devices are not supported at this time. Meanwhile you can play other emulator games on your phone including the games from legendary PS1. Check all the tutorials at the link below. "PS2 was a major upgrade over its predecessor. Since it featured the ability to upgrade its storage with a hard drive." PS2 didnt' have storage you idiot. games ran off the disc...... the only game that used a hard drive and came WITH one was Final Fantasy 11... but only fat PS2's had space for one. That info is according to the PS2 Wikipedia page. Did I anywhere say that the games can be installed and played off the HDD, No. Read the article carefully. It is true that the PS2 30000 and 50000 models supported a 40 GB HDD to reduce load times. Have a good day. Most games are not supported. When is the developed version of Play! is coming? It is not coming any soon. According to the author of this emulator, it will take him few more years to develop a faster and more stable version of this emulator. We can only wait till it gets more faster. Full info can be found at. will this work on Sony Xperia Z4 tablet and if so is there a working and supported version of PES6? Yes, but the game may not be playable because of very low frame rate. Do you have to be rooted? Your phone doesn't require root access to run PS2 emulator. At present, Play PS2 emulator doesn't support sd cards. Can I play god hand on my MI note 4 mobile? You may either see a black screen or the game will run very slow which can't be played at all. Is this support Oppo F1s ram 3Gb? I copied the game in the internal storage and in play data files, and it stillnwon't shoe up on my app. I have a galaxy s8, so my phone's not the problem. Help? Place the game files in this directory on your phone "Internal storage>Play data files". Game started I press OK then it showed black screen what to do now?? Not all games are supported at present. Most games only show a black screen. I can't say that it will work because the PS2 android emulator is still fully working like other emulators (ePSXe, PPSSPP). Some games work and some only show a black screen. It is going through active development phase so we can't say that every game will work on it. You can try running your favorite game on your android phone. All games are not supported at present. I'm running a tab with a 1.6 GHz quad core processor but if I rooted my tab and boosted the processing speed do you think the Play! emulator would work? Overclocking an android CPU is not an easy task. You have to apply the right tutorial for it. And I am not sure after overclocking how the play emulator will behave. It might get a boost but can't say whether it will work smoothly or not. Do I have a chance to play with this emulator on a Samsung Galaxy A5 (2016)? Yes, I agree. All games are not supported. I have only tested Metal Slug anthology that is also lagging heavily but working. So if you have a low end android phone then it will not work. does it work in vivo v5 lite? The app can be installed but games won't run on this phone's low-end hardware. Can xiaomi redmi note 3 play it?? Emulator will work but games may not work due to low hardware specs. Can Samsung Galaxy J1(2016) run Sonic games for PS2? AND etc on Play! Emulator? Absolutely no. Galaxy J1 is good for nothing. Redmi Note 3 is not a high-end phone. This emulator is not yet completely developed. So, at present we can't play PS2 games on all android phones. Also all PS2 games are not supported by the play emulator. i have galaxy s7 but god hand show black screen and will god of war 6 gb game works in s7? This PS2 emulator will not work properly on all phones. Currently all games are not supported. The games which do not support it show a black screen. will god of war work or not in s7 exynos version? This is because, the game might not be fully supported. You can try and check if it works. PS2 play emulator is still in active development and doesn't support all games. For most games it only shows black screen. So it would be better if you check the game on your LG G6. Can it work on Asus zenphone 2 laser (ZE550KL) ? No, it will not work on Asus Zenfone 2 laser. Only black screen will be there. 1. Am I right that this kind of file would only work for ps2 emulators for pc? 2. If no, what would you suggest me fo? If yes, can you give me a recommendation of website that offers isos for Play! Emulator for android. You are doing right. There are no special ISOs for Play! emulator. The ISOs that are supposed to work with PCSX2 will also work with Play!. But the problem is that Play! emulator can't run on every phone because of hardware limitations. 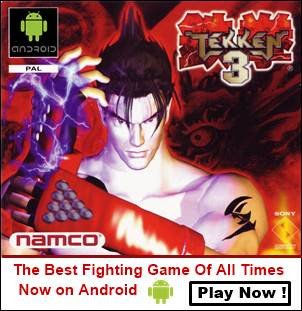 The developer isn't developing this emulator to support a large number of android phone's just like the ePSXe does. can i play god of war 2 on my mobile it has got 4gb ram with 7.1 android will it work ? Yes, but the emulation and fps will be very very low. So, you can run the game but can't play it.